According to the American Heart Association, effective CPR within the first few minutes of cardiac arrest can increase the chance of survival by 2 to 3 times. 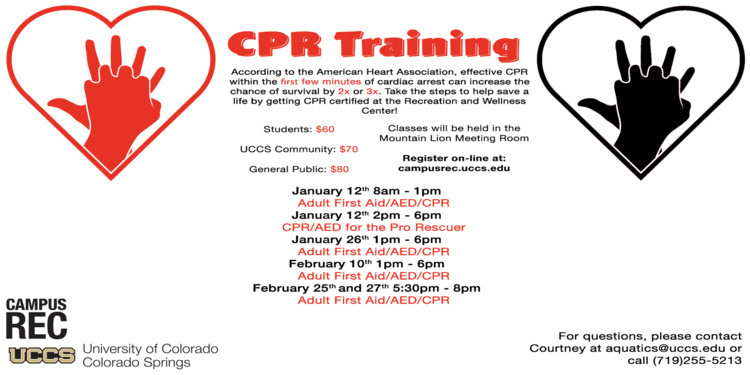 Get certified at the Recreation and Wellness Center! Students: $60 UCCS Community: $70 General Public: $80. To be certified you must attend both Feb 25 and 27!